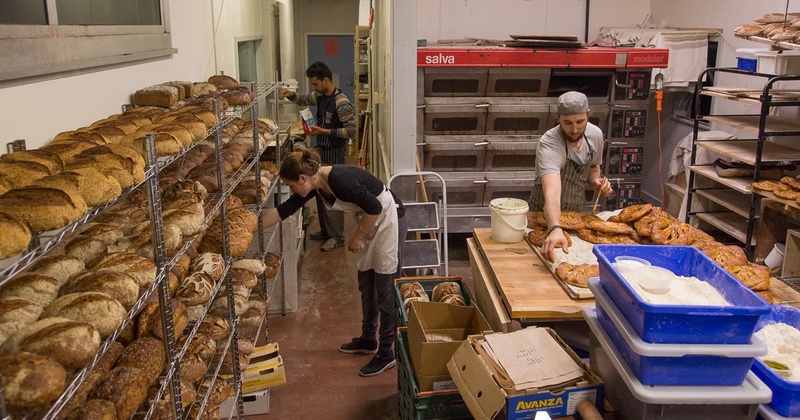 Shelly Bay Baker is a small bakery in Wellington, New Zealand that believes in the power of real bread. We use natural ingredients in all of our breads and natural levains to bake unique and flavourful sourdough breads, sandwich loafs, bagels, baguettes and more. We source whole grains where possible and use our in-house mill to produce fresh stone-ground flour, which then goes directly into our breads and gives them a terrific flavour and aroma. This process adds some time and effort, but the breads that result are well worth it. We have a range of sourdough breads, bagels and loafs that we bake fresh every day. If you haven’t had a proper sourdough before, it’s something you have got to taste to believe. And once you have, you may find it hard to go back to plastic bag sliced white bread. We are constantly experimenting and testing out new ideas for bread, so if you’re looking for something interesting or just want to get some real, good bread, come Find Us at your local market for the latest creations.